Michael is 62 years old and had been out of paid work on job seekers allowance for 9 years, subsequently his confidence was lacking. He had a background in administration and in recent years he volunteered as a care assistant and completed some qualifications in health and social care. During Michael’s initial assessment process, it had been identified that he appeared to be smelling of alcohol. Having discussed his drinking habits it was established that he had consumed the same amount of alcohol every day for the past 20 years. With this being as key factor in his inability to secure employment, Michael allowed the Towards Work team to make a referral to Nottingham recovery to see if this was something he could get support with. Michael now feels that he is able to be honest with the team and is appreciative that his Work Coach addressed the drinking issue. He has attended several appointments with Nottingham Recovery and feels it is helping him, he is going to continue to work with them whilst getting support from the Towards Work, Work Coach with looking for employment. He is still attending Nottingham Recovery and his Work Coach has also carried out a ‘better off in work’ calculation, which has identified that Michael will be better off by over £100 per week on 16 hours work than he will on job seekers allowance so he is now working with his Work Coach to identify part-time care assistant roles to apply for so that he can utilise his skills and qualifications in this type of work and have something positive to focus on. Michael feels he has had the right sort of support and motivation into getting support with recovery and he feels like he is now moving forward. The Groundwork Greater Nottingham Towards Work project is part of the national Building Better Opportunities Programme. 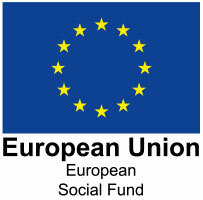 Jointly funded by the Big Lottery Fund & the D2N2 Local Enterprise Partnership’s European Social Fund allocation; the programme is delivered throughout Nottingham, Nottinghamshire, Derby and Derbyshire by a partnership of local organisations who specialise in supporting people into work. We aim to support with those first vital steps towards gaining employment through a personalised service and support to overcome barriers an individual may face.